ABSTRACT Except in the far north and high mountainous areas, only a few wild rivers remain in Europe, and even these are threatened by development. Sometimes only nongovernmental organizations and public protests have been able to protect these wild rivers and their unique ecosystems from destruction. The Vltava River rises in a wild natural area close to the Czech–German border. Nine big dams were constructed on this river during the 20th century. But before the river flows into the first artificial lake, there is a unique ecosystem: the Upper Vltava River floodplain. 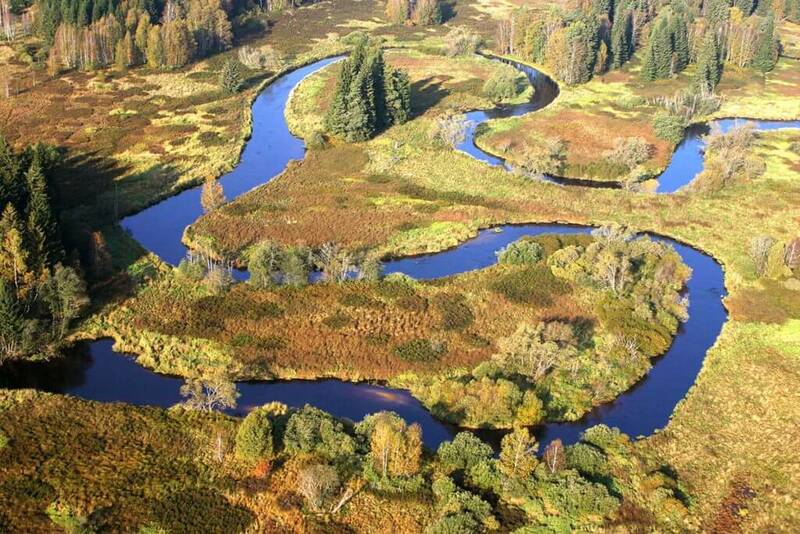 The river slowly meanders in a boreal landscape with peat bogs and wetlands. The shallow water and oligotrophic oxbow pools are habitats for some relict plant communities, rare invertebrates, and one of the last viable Central European populations of pearl mussels. Canoeists have loved this river for decades, but low water levels have limited access. The numbers of boats increased significantly when new boat types (e.g., rafts and plastic canoes) appeared. Sensitive species and habitats have become seriously threatened. This article reviews a long negotiation for regulation of canoeing on the Upper Vltava River in the Šumava National Park to protect the unique wild river ecosystem and improve the enjoyment of visiting canoeists. Our ancestors created the first settlements on riverbanks and rivers that were the main traffic corridors over millennia (e.g., Herold 2012). Rivers offered fish to eat and water for drinking, for washing clothes, and for irrigating fields. Later, water-powered mills were necessary for mining of gold and other metals. Even today, hydropower plants and inland shipping remain significant actors in the economies of many countries. It is hard to imagine the progress of human society without rivers and waterpower. European rivers have been used since ancient times, and river flows have been maintained and regulated for centuries. Hundreds of dams have been built, thousands of kilometers of riverbanks were straightened and concreted, and many floodplains have been drained. However, in the far north and high mountainous areas, a few wild rivers remain in Europe, though even these are threatened by development. The recently proposed project of building a dam on Albania’s Vjosa River, one of the last wild European rivers naturally flowing from its spring to the estuary in the Adriatic Sea, led to big public protests, and the Albanian government has not yet decided about the project (http://balkanrivers.net/en). One could suppose that wild rivers, or at least their unmodified parts, could be better protected from development pressures if they were part of a protected area system – for example, national parks, landscape protected areas, or Natura 2000 sites. However, sometimes only nongovernmental organizations (NGOs) and public protests over each new threatened river have been able to protect the wildness of rivers and their unique ecosystems from destruction, such as road construction through the Biebrza National Park (NP) in Poland (van der Heijden 2010). Not only recreational canoeists and anglers but also environmentalists are calling for better protection of the last wild rivers of Europe. This article reviews a long negotiation for regulations on using the Upper Vltava River in the Šumava NP to protect the unique wild river ecosystem and improve the enjoyment of visitors. The Vltava River, often called “the mother of Czech rivers,” is 430 kilometers (267 miles) long and rises in the Bohemian Forest, very close to the German border at 1,172 meters (3,845 ft.) above sea level (a.s.l.). The Bohemian Forest and Bavarian Forest together form the largest contiguous woodland area in Central Europe, covering more than 2 million hectares (4,942,108 acres) (Meyer et al. 2009). Up to the present day they have remained free of larger settlements and have not been dissected by roads to any great extent. Two national parks – the Bavarian Forest NP in Germany and the Šumava NP in the Czech Republic – protect the most valuable parts of this region and provide a unique opportunity to protect this European wilderness of forests, crystal clear mountain streams, unspoiled marshlands, mires and bog woodlands, and abandoned mountain pastures at higher elevations. 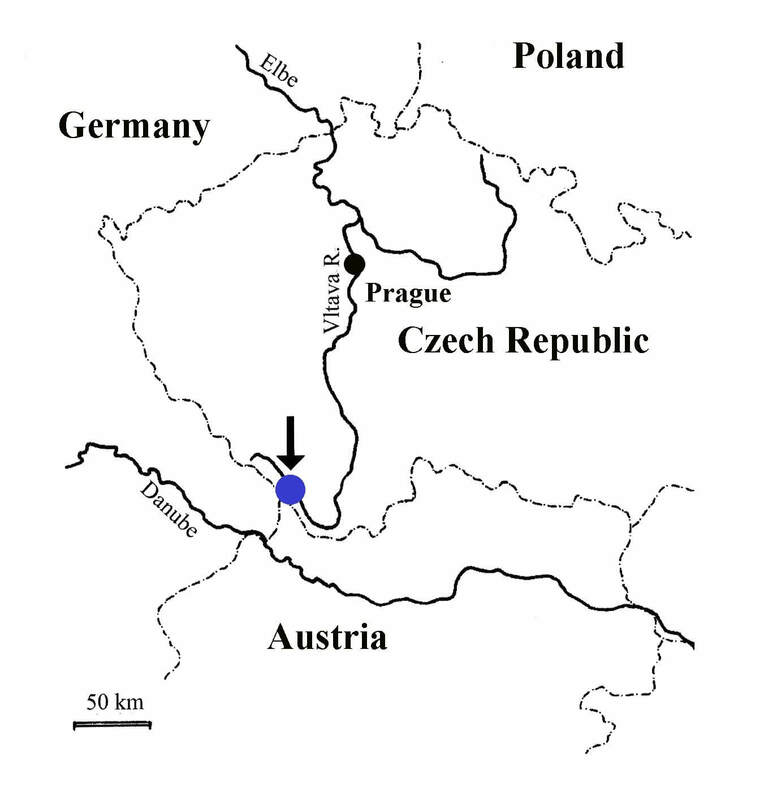 Figure 1 – The Vltava River, often called “the mother of Czech rivers,” is 430 km long. The Lipno Dam (location indicated), finished in 1959, has covered more than half of the unique flat montane floodplain situated in the lower south-eastern part of the Bohemian Forest, near the German border. The Vltava River rises in a wild natural area, but nine dams and hydropower plants were constructed downstream during the 20th century. The Lipno Dam, holding the largest lake (48.70 km2/18.8 miles2), is the first on the river journey from the Bohemian Forest to Prague. Since 1959, when construction of the Lipno Dam was finished, the lake has covered more than half of the unique flat montane floodplain situated in the lower southeastern part of the Bohemian Forest (Figure 1). This flat and broad valley was created by orogenic processes in the adjacent area of the Alps, and its bottom was filled by late Pleistocene and Holocene deposits (Ložek 2001). Despite the whole floodplain being in a montane landscape, it has, from a geographical point of view, the character of a lowland riparian landscape. The floor of the river valley slopes gently from 730 to 720 meters (2,395 to 2,362 ft.) a.s.l. over about 15 kilometers (9.3 miles) and a much longer real river channel (about 25 km/15.5 miles). The floodplain is relatively wide (about 1.5 km/.93 mile) and the river slowly meanders, with a rich microtopography, including many oxbows, pools, backwaters, and so forth, in various stages of terrestrialization (Figure 2). The natural river dynamics are still preserved, and the area is annually flooded, mostly in the spring. The local flora is rich in montane species with a high frequency of boreo-montane and boreo-continental elements. The potential natural vegetation is formed mainly by a mosaic of waterlogged spruce forests and various peatlands (Bufková et al. 2005). Ombrotrophic peat bogs developed within the floodplain are the valley-raised bog type typical of flat boreal and mountain valleys, and this complex includes the oldest mires in the southeastern Bohemian Forest. Deposits originating in the Late Glacial, dated to 13,000 BP, were found here (Svobodová et al. 2002). The high proportion of relict habitats, particularly peatlands, predetermine flora and relic fauna of this area. The flat valley is an important breeding area of the black grouse (Tetrao tetrix). Figure 2 – A mosaic of unique habitats exist in the Upper Vltava River floodplain. The shallow water and oligotrophic oxbow pools are habitats for some relict plant communities, rare invertebrates, and one of the last viable Central European populations of pearl mussels (Margaritifera margaritifera). The floodplain has no urbanization; the first nature reserve protecting the core peat bog was designated in 1933. Because of its high natural values, the floodplain was included in the core zone of the Šumava NP in 1992 and designated as a Ramsar Site. It is also part of the Šumava Natura 2000 site, and pearl mussels together with otters (Lutra lutra), bullheads (Cottus gobio), and several habitats protected under the EU 1992 Habitats Directive occur there. Recreational canoeing has a long tradition in the Czech Republic. Kayaks, imported from Scandinavia, have been used on Czech rivers since the Middle Ages, and the first canoes appeared before the First World War (https://www.kanoe.cz). Sport canoeing, both speed and slalom, had established itself by the 1930s, and recreational wild river canoeing became very popular in between the First and Second World Wars. Increasing numbers of canoeists enjoyed the romance of floating down wild rivers, but they had to be very skilled to pass successfully through many rapids and fast-flowing river sections with simple wooden canoes. Many wild parts of rivers gradually disappeared with massive dam building during the second half of the 20th century. Despite this, amateur canoeists could still find some good rivers and were able to test homemade fiberglass canoes and kayaks during the Communist era. New boats from durable plastic material and new types of boats (e.g., rafts) came at the end of the 20th century. Many people have benefited from the opening of borders, and some have traveled to the Alps or Scandinavia to try canoeing on big wild rivers there. However, there are still many people interested in the Czech rivers. Czech legislation establishes that the rivers are open to public use, including canoeing, with the following limitations: (1) some weirs and dangerous river sections are accessible only at a person’s own risk, and (2) canoeing in the national parks is prohibited by law. The NP Authority will allow canoeing in some river sections for specific times and type of boats. There are four national parks in the Czech Republic, and three of them have rivers suitable for canoeing. The Dyje (Thaya) River, a border river between the Podyji NP (CZ) and Thayathal NP (Lower Austria), is not open for canoeing. Canoeists can use several larger streams and smaller wild rivers in the Krkonose NP, but most of them only have enough water when the snow melts in early spring. If snow cover is substantial, canoeists can also enjoy spring water in the Vydra River in the central part of Šumava NP. Canoeing in Šumava NP is not allowed except for the Upper Vltava River. Canoeists liked the area before its designation as Šumava NP. However, low water levels often limited canoeing in this river because wood, or later fiberglass, boats could easily break or come apart. This limitation disappeared with the advent of new plastic boats at the beginning of the 21st century. Some tourist operators and companies renting boats started to organize trips for schools and larger groups. But while the plastic boats and rafts were safe for visitors, they were harmful to sensitive ecosystems, especially as use increased. Untrained visitors were not able to control the vessels and caused damage to unique macrophytes and river sediments, the important habitat of pearl mussels’ larvae. High numbers of visitors also disturbed breeding and nesting birds. Some visitors complained about unsuitable behaviors of other visitors. Figure 3 –Answers of 1000 respondents the following question: “Will you agree with closing the river if the water level would be lower than 45 cm at Lenora station? 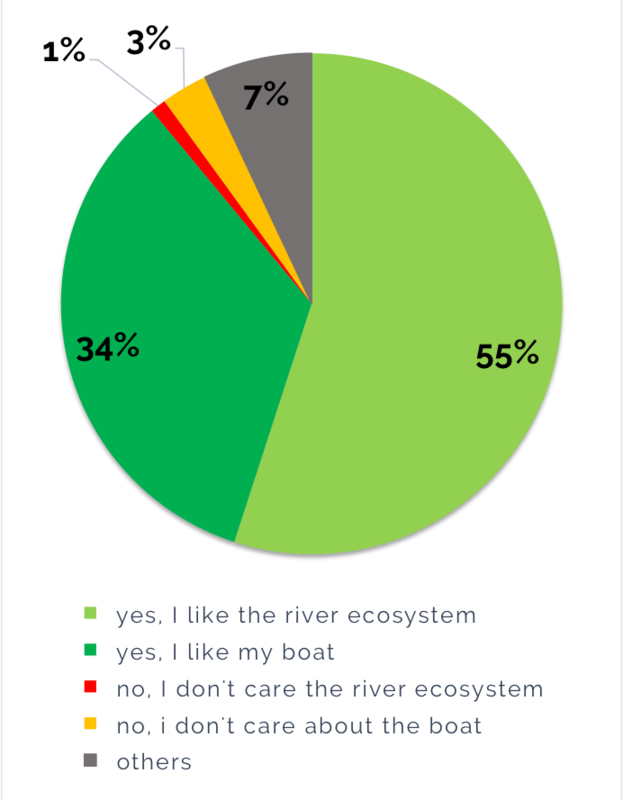 ” A = “yes, I want to protect nature; B = “yes, I do not want to damage my boat”; C = “no, I don’t care about nature”; D = “no, I don’t care about my boat”; E = other answers (Simon & Kladivová 2006). For more than 10 years, there have been attempts to ban canoeing in the Upper Vltava River. 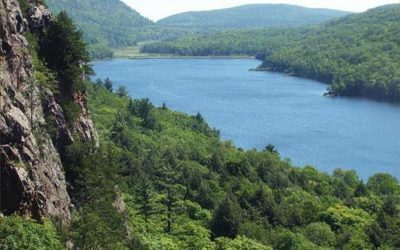 Experts have repeatedly warned Park Authorities that canoeing, especially disturbance of the river bottom plus noise caused by people, can seriously damage these fragile ecosystems. They suggested that a restricted number of canoes can be allowed only if the water level permits (April to August), and warned that if the number exceeds 3,000 canoes per year, the ecosystem will be damaged (Absolon and Hruška 1999; Bauer and Wächtler 2001; Simon and Kladivová 2006). Absence of regulation before 2006, and only partial regulation thereafter has resulted in serious damage to the river ecosystem (Volf 2010). The NP Authorities had both legal grounds (Natura 2000 plus Czech law) and were backed by expert opinion for immediate restriction of the number of canoes to 3,000 per year, but they failed to implement it and did not carry out a Natura 2000 assessment, as required by Art. 6.3 of the Habitats Directive, until 2011 (Bílek 2011). The reasons for inactivity by the NP Authorities are attributable to pressure from local politicians, who have used canoeing regulation as a substitutionary excuse to battle with the NP. There is also a lack of any reinforcement of Natura 2000 by the European Union. Politicians have complained about different proposals for canoeing regulation and have argued they are not in the public interest, although the results of a survey conducted in 2006 showed that canoeists were willing to accept regulation of canoeing when the water in the Vltava River was too low (Figure 3). Although there is no entrance fee to Czech national parks, 45% of respondents to a poll answered that they were willing to pay for a registration system, 42% said “no”, and 13% of respondents were unsure (Simon and Kladivová 2006). It took an additional six years (2007–2012) to restrict the numbers of canoes per year to that recommended by scientists (Figure 4). Figure 4 –Number of canoes recorded on the Upper Vltava River – they were not regulated until 2007, partially and insufficiently regulated during 2007-2011 and only starting from 2012 were the numbers recommended by scientists achieved. To make things even worse, part of the decline from 2007 to 2012 can be attributed to bad summer weather and low visitor interest rather than the activities of the NP Authorities. It was only after NGOs obtained a ruling from the Highest Administrative Court that the National Park Authority was in breach of Art. 6.3 of the Habitats Directive and reported the situation to the European Commission that the NP Authority mandated the number to drop to the recommended 3,000 canoes/year in 2012. The NP Authority started with regulation of canoeing and opened online registration (www.npsumava.cz). Rafts and big boats causing the most damage are no longer allowed, and the river is closed to all boats when the water level is lower than 50 centimeters (20 in.). The maximum of 20 registered kayaks and canoes/hour (i.e., 180 boats/day) is only allowed on the river from April to August, and then only if the water level is more than 61 centimeters (24 in. ); only seven registered kayaks and canoes/hour (i.e., max 63 boats/day) are allowed if the water level is between 51 and 60 centimeters. The Šumava NP Authority has improved marketing and interpretation of the regulation rules during the last five years. Information boards were installed along the river, and leaflets with rules and ecological reasons for regulation are distributed to visitors of the region. Šumava NP rangers cooperate with local companies renting boats and together with local tourist operators offer guided tours to explain the specifics of the river to visitors. Visitors have learned to use the online registration system, and many of them are returning annually. They appreciate calming down and enjoying lower numbers of canoeists on their favorite section of the river. The latest monitoring of natural conditions, including damages to macrophytes and pearl mussel colonies, has indicated recovering of the sensitive ecosystem in the Upper Vltava River (Anonymous 2015). The Šumava NP Authority together with external researchers have recently started a new EU-funded project reinforcing the population of pearl mussels in the Upper Vltava River. Monitoring of underwater vegetation as an indicator of habitat quality, together with direct counting of mussels, artificial production of pearl mussel offspring, chemical analysis of water quality, and measurements supporting the local trout population, the most important host species, have been initiated. Advances in modern technologies and recreation business activities, together with political interventions, threaten the unique and extremely sensitive habitats of the Upper Vltava River. New technology and demand also erode traditions and have brought some people to the area who respect neither nature nor other canoeists. It has been a challenge to mitigate negative effects on the ecosystem while allowing canoeing to continue in this very popular location. NGOs together with the Highest Administrative Court decision have forced Šumava NP Authority to launch a regulation system, which so far seems to have been successful. Canoeists have accepted the regulation with online registration and use limits to allow threatened species and habitats to slowly regenerate. The pearl mussel, as the iconic species, helps to protect many other species, habitats, and the whole unique ecosystem of the Upper Vltava River floodplain. We believe that the pearl mussels will survive, and the next generation of canoeists can enjoy this river together with them in a wilder setting. Complex conservation measures and science have been applied to both protect a unique ecosystem with rare species and maintain good quality experiences for canoeists. 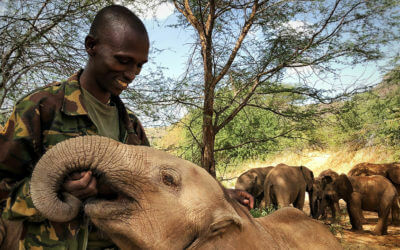 The concept of sharing benefits between nature and humans should become an inspiration in other conservation areas as well. Activities aimed at conservation of the pearl mussel population reinforce protection of this wild river. This is very important not only for protection of this unique ecosystem, but it also nicely exemplifies compatibility of biodiversity protection and wildness. One of the obstacles for larger implementation of wilderness designation in existing European protected areas is sometimes the perceived threat to biodiversity. Harmony between wild river canoeing and mussels on the Upper Vltava River suggests otherwise. Absolon, K., and J. Hruška,. 1999. Záchranný program Perlorodka říční v České republice [Action plan Freshwater pearl mussel in the Czech Republic]. Nature Conservation Agency of the Czech Republic, Praha, 28 pp. (in Czech). Available from http://www.zachranneprogramy.cz/index.php?docId=2267&spec=zivocichove (accessed January 12, 2017). Anonymous. (2015). Soužití člověka a perlorodky říční ve Vltavském luhu [Coexistence of humans and freshwater pearl mussels in the Upper Vltava River]. Project report – Part E. Ms. depon In Správa NP Šumava, Vimperk. pp. 22 (in Czech). Bauer, G., and K. Wächtler. 2001. Ecology and evolution of the freshwater mussels Unionida. Springer-Verlag, Berlin, Heidelberg, 364 pp. Bílek, O. 2011. Řízené splouvání Teplé Vltavy v úseku Soumarský Most – most u Pěkné. [Regulated canoeing on the Upper Vltava River between Soumarsky most – Pekna]. Screening report. 64 pp. (in Czech). Available from http://www.npsumava.cz/gallery/18/5514-splouvani_screening.pdf (accessed January 12, 2017). Bufková, I., K. Prach, and M. Bastl. 2005. Relationships between vegetation and environment within the mountane flodplain of the Upper Vltava River. Silva Gabreta, Supplementum 2. 78 pp. Herold, H. 2012. Fortified Settlements of the 9th and 10th Centuries ad in Central Europe: Structure, Function and Symbolism. Mediev Archaeology 56(1): 60–84. Ložek, V. 2001. Geology. Geomorphology. In: The map of potential national vegetation of the Šumava NP. Neuhauslová, Z. (ed). Silva Gabreta, Supplementum 1: 81-82. Meyer, T., H. Kiener, and Z. Křenová. 2009. Wild Heart of Europe. International Journal of Wilderness 15(3): 33–40. Simon, O., and V. Kladivová. 2006. Studie vlivu splouvání na ekosystémy dna Teplé Vltavy. [Study of the effect of canoeing on the ecosystems of the river bottom of Warm Vltava]. Ms. depon In Správa NP Šumava, Vimperk. 27 pp. (in Czech). http://www.npsumava.cz/storage/studie_splouv.pdf (accessed January 11, 2017). Svobodová, H., L. Soukupová, and M. Reile. 2002. Diversified development of mountain mires, Bohemian Forest, Central Europe, in the last 13,000 years. Quaternary International 91: 123-135.
van der Heijden, H. A. 2010. Social Movements, Public Spheres and the European Politics of the Environment. Palgrave Macmillan. 225 pp. Volf, O. 2010. Splouvání Teplé Vltavy v úseku Soumarský Most – most u Pěkné. Hodnocení vlivů podle § 45i zákona č. 114/1992 Sb., o ochraně přírody a krajiny, v platném znění. [Canoeing on the Upper Vltava River between Soumarsky most – Pekna. Natura 2000 assessment under the §45i, Act No. 114/1992, on the Conservation of Nature and Landscape]. 52 pp. (in Czech). Available from http://portal.cenia.cz/eiasea/detail/EIA_JHC477 (accessed January 12, 2017). 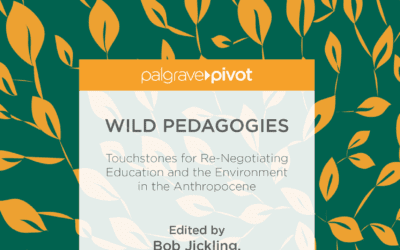 The many authors of this book, who wrote as a collective, are passionate environmental educators who firmly believe in the power of the wild and the other species that still surround us.